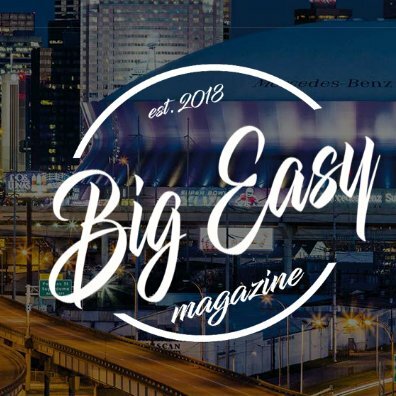 This content was originally published with Big Easy Magazine, a publication dedicated to being a progressive voice for New Orleans and a soapbox for residents in every neighborhood. You can find this article and more content all about the Big Easy here. By: Nolan Storey – Staff Poet / Contributing Writer at Big Easy Magazine. New Orleans is a city that harbors a great deal of talent. When most people think of New Orleans, they think of the music scene, particularly Jazz groups and Brass bands. While it is true that our great city harbors much musical talent, it is also bursting at the seams with creative talent of all sorts. New Orleans is chaos and order colliding. It is a melting pot of cultures in a way that few other cities are. It stands to reason that out of a city that is poetry, great poetic talent arises. In a field historically, unjustly dominated by men, it is important to shine a light on the talented women who are breaking out onto the poetry scene. 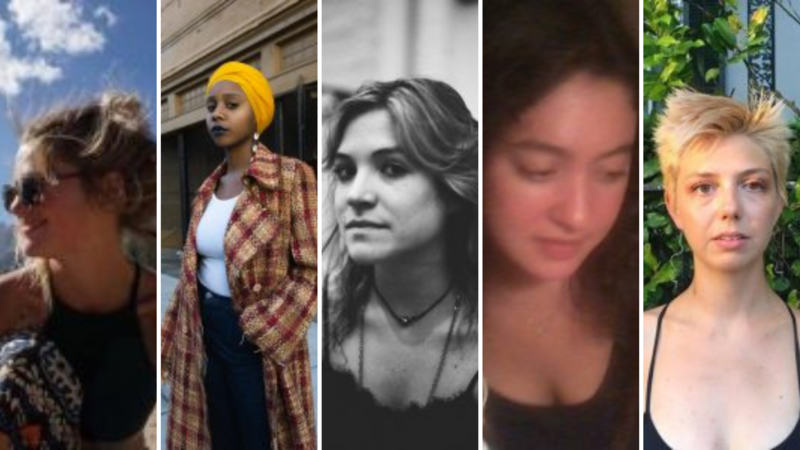 What follows is a highlight of five rising women poets in New Orleans: Kellyann Bates, Julia Taylor, Sharita Simms, Molly Kirschner and Camille Goering share their thoughts, works and lives in the profiles below. All of these poets have been previously featured in Big Easy Magazine’s art section! Each Tuesday we feature a local poet’s work! Be sure to check back on Tuesday for new and exciting work from these five! In tiny ways, every day. Nolan: Who are you? How would you describe yourself to someone coming across your work for the first time? 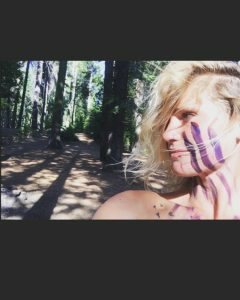 Kellyann: I am a Louisianan and I’ve been creating in multiple art forms through the past ten years. I like to describe my styles of art as flow art. Anything that has rhythm, movement or well… flow is something I’m attracted conceptually for most of my art. Nolan: When did you first start writing poetry and what’s your goal in doing so? Kellyann: I’ve kept a journal since as long back as I can remember. Even had one that opened to a secret password.. oh early 2000 technology at its finest. I often wrote poems along with daily logs, most of them were about my dog as a kid, my love for dogs hasn’t changed. Luckily for me, the poetry did! Nolan: What is your connection to New Orleans? What does it mean to you and how does living here effect your poetry? Kellyann: New Orleans is obviously an incredible place but I’m fascinated by its complex social structures and the web of true community that residents instill. Connecting with new people every day in a city I’ve lived in for years while still getting to enjoy a family I’ve made here provides inspiration through social and energetic flow. 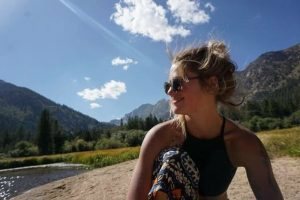 Nolan: What unique challenges or circumstances have you faced being a woman in a field that has been historically (unjustly) dominated by men? How have you overcome these hurdles and how does this come through in your work? Kellyann: Honestly, I feel heard by my community and I’m incredibly grateful for it. Pretty much everything ever has been dominated by men. All we can do now is break the misogynistic cycle and encourage and celebrate artists based on the work, regardless of gender. I’m incredibly lucky to live in a place that is doing that in a lot of personal ways and I only have hope for the future! Nolan: What are your goals with both your poetry and your live overall moving forward? Kellyann: As always to stay grateful, mindful and keep growing! Kellyann is also a talented painter! She can be reached at kbdoing12@gmail.com for original artwork and commissions. Nolan Storey has lived in New Orleans for 10 years. He fell in love with this city as he received his bachelors in English from Loyola University New Orleans in 2012. Since then, he has gone on to publish three books, including two books of poetry. Feel free to check out some of his other articles, poetry, and short fiction pieces here.